Justin Timberlake, Miley Cyrus and Charlize Theron were some of the stars who appeared at the fifth annual Fashion Rocks concert celebrating the relationship between music and fashion last Friday. Proceeds from the show – which was televised on CBS on Tuesday night – went to Stand Up To Cancer, which held its own star-studded telethon on the same evening. The Fashion Rocks show included a performance of more than a dozen divas — including Beyonce, Mariah Carey, Natasha Bedingfield, Fergie, Rihanna and Cyrus — who sung their new charity song Just Stand Up, which was beamed live to the Stand Up To Cancer television extravaganza. Also present at Fashion Rocks were Hilary Swank and Hayden Panettiere, with performances from Kid Rock, Keith Urban, Duffy, the Black Eyed Peas, and the Pussycat Dolls. 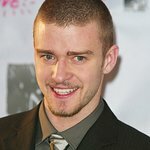 But it was the sizzling duet between Timberlake and Beyonce on “Ain’t Nothing Like The Real Thing” that stole the show. And just to prove that there really is nothing like the real thing, Timberlake has also confirmed he will once again host the Shriners Hospitals for Children Golf Open in October. Following on from the success of last year’s event, the Open will take place October 13-19 at the TPC Summerlin course in Las Vegas. The annual event has taken place every year since 1983 and has raised more than $10 million for Las Vegas area charities. Previous champions include Tiger Woods, Greg Norman, Davis Love III, Paul Azinger, Jim Furyk, Curtis Strange and Fuzzy Zoeller. Shriners Hospitals for Children is a network of facilities in North America that provides superior medical care at no charge to children under the age of 18, and more information about the event – including how to get tickets – can be found at the Justin Timberlake Shriners Golf Open website.